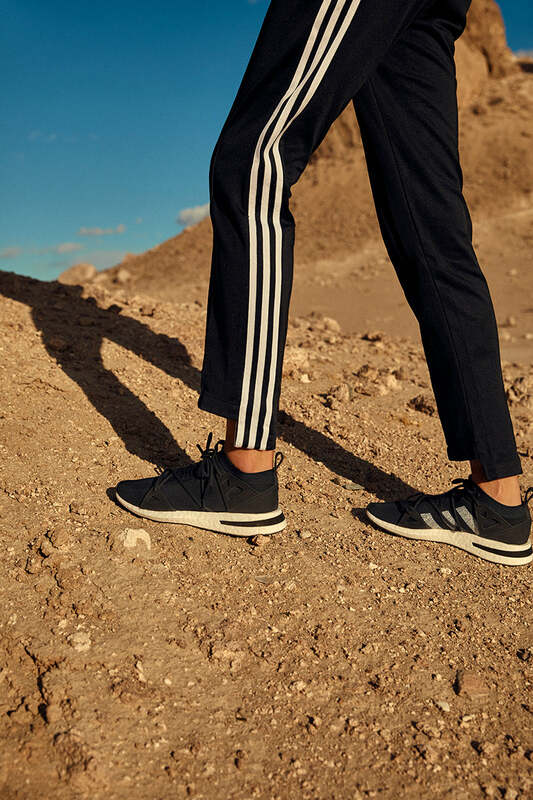 United by the concept that identity is not ‘one thing’ adidas Originals has come together with NAKED, one of the foremost female-focused sneaker stores in the world to present a new collection of both footwear and clothing for SS18- a collaboration where the respect is mutual. Founded in 2004, NAKED is the Copenhagen-based store that, via their social channels and online presence, has opened up the cloistered world of streetwear, and cemented its position as an innovative and world-recognised sneaker destination for women. Known by its cult baby pink entrance and pristine shop-fit, NAKED is so much more than its now famous bricks and mortar stores. NAKED, for many, embodies a new-gen, fearless attitude towards challenging and breaking down conventions that have been held for all too long within the male-dominated sneaker arena. NAKED is very much about providing spaces, both on and offline for women who are passionate about streetwear. In short, their mission is to supply women with the sneakers and clothing they want, in a manner most men are accustomed to: with knowledge, respect and passion. No patronising shrink-it-and-pink-it marketing ploys in sight. 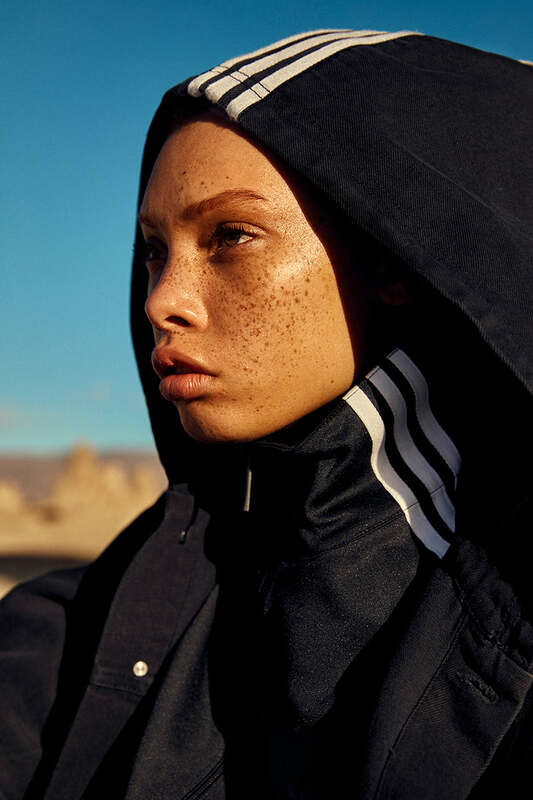 Just as NAKED strives to push against stereotyping, refusing to do what’s expected of a female trainer store and streetwear platform, so too does adidas Originals. This collaboration seeks to dismantle any expectations and provide the ultimate capsule wardrobe for female creators. The collection is a meeting of minds, unified by a mutual respect. The adidas Originals by NAKED consortium collection should be used as a canvas for self-expression- it’s entirely open to translation- and can be adapted into both streetwear and high fashion contexts. 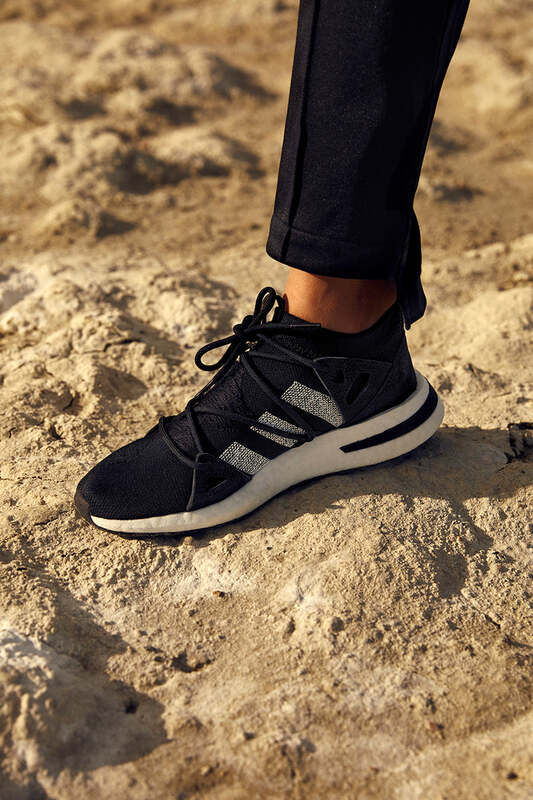 The collection, which is monochromatic throughout, is comprised of the Arkyn sneaker and a 5-piece apparel offering with a sleek update on the modern athleisure fit. It’s collection that can be worn in many ways by the wearer, layered or as separates, with a take on some of adidas Originals most iconic pieces such as the three stripe tracksuit bottoms and a funnel neck tracksuit top, as well as statement pieces such as an oversized denim jacket, cropped sweat and short. The collection is the ultimate mod uniform for the new-wave creator; practical, stylish, technical and classic remastered in black and white, making it’s this season’s most essential and fluid capsule wardrobe. The adidas Consortium x NAKED SS18 Collection will be launching ONLINE on Saturday 17th March at 00:01GMT.